Be Nice To Your Mechanic : Bikes. Rants. Adventures. 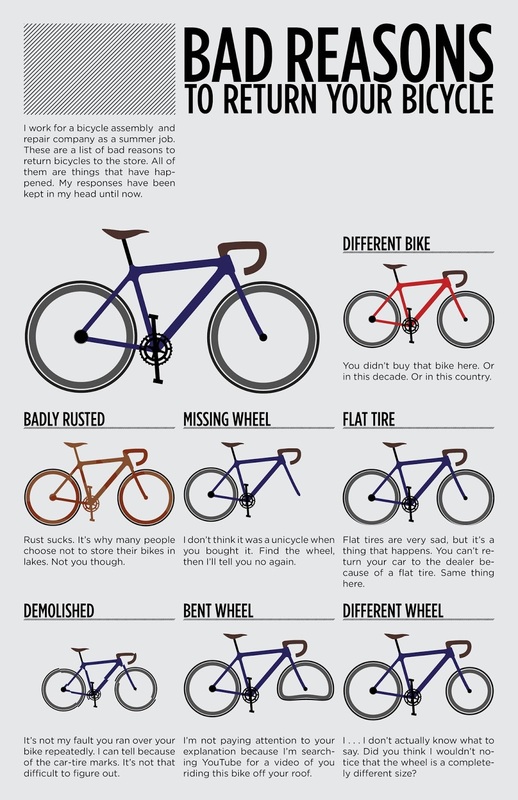 I found this on /r/bikewrench a while back, and it was too good to not share. I've heard some horror stories from mechanics, and can easily see each of these (and many more) happening. For hi res, click here. My Yamaguchi School Frame was dropped off at Velotech yesterday, so now I get to sit and anxiously wait for it to be finished. In the meantime though, i'm off to enjoy the weekend!